It's obvious-refinishing or repairing wood floors makes a lot of sense. Allow us to refinish or clean your wood floor to restore its dignified prestige. It will continue to beautify your home for many years to come. Our seasoned floor experts use industry-standard technology and quality materials to get the job done. Based on your wood floor's condition, they will suggest the proper color to apply. Once the color has been selected, they will apply a wood sealer as a primer layer. 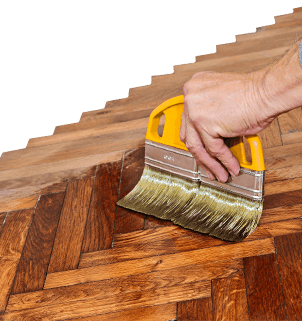 The next step is buffing, in order to make the surface of your wood floor smooth and shiny. After that, the finishing touch is applied, an additional layer of polyurethane. This guarantees top protection for your floor-the more coats of polyurethane applied, the longer protection you get. We can do any job. From refinishing wood floors or sanding wood floors, to wood floor repair and hard wood floor cleaning-you floor will retain its classy look and finish for many years to come. Seattle Carpet Cleaning uses durable, non-toxic finishes guaranteed to beautify and protect your wood floor. Contact us at 206-219-3723 for a free estimate.